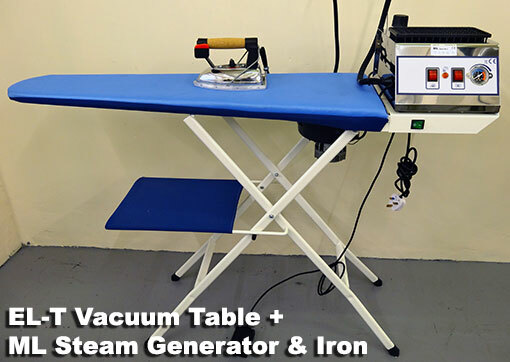 Braithwaite's EL-T semi-industrial vacuum ironing table is for customers who do not need our bigger full industrial tables, but still require a quality vacuum table with UK service and back-up. The EL-T model is manufactured in Europe and is ideal for use along side a steam generator and iron (available separately). 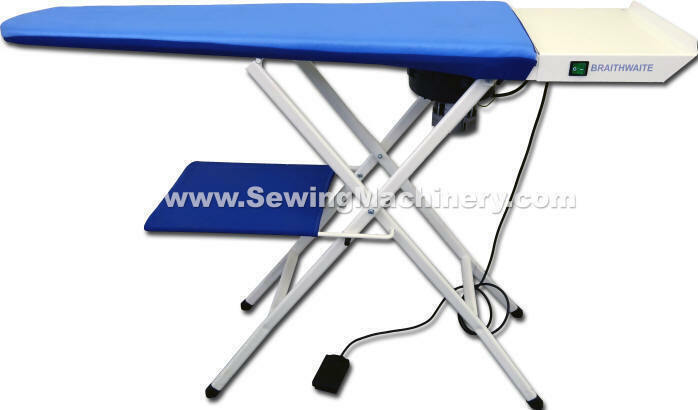 If you are replacing your tradition ironing board, or domestic rated table, the EL-T will help to speed up ironing and improve finished results; by utilizing its vacuum + heating functions. A vacuum tables usefulness is usually governed by the type of vacuum system fitted; with many similar sized tables using small domestic style vacuum motors. 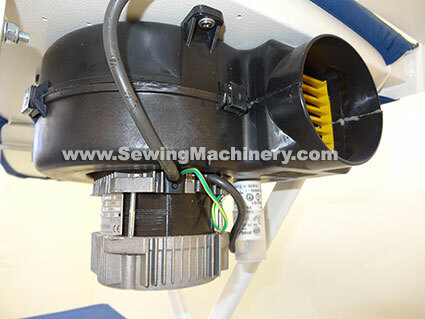 In comparison the Braithwaite EL-T is fitted with a large oversized industrial rated vacuum motor assembly which, at the press of a peddle, creates a powerful suction on the top ironing surface. Manufactured in Europe to strict quality & safety standards (beware "Look alike" copies). Robust construction using Hi-grade European components for a better duty rating.